The 90s was when the Nike Air Max line truly peaked and in the prime of it all, was the Nike Air Max 98. 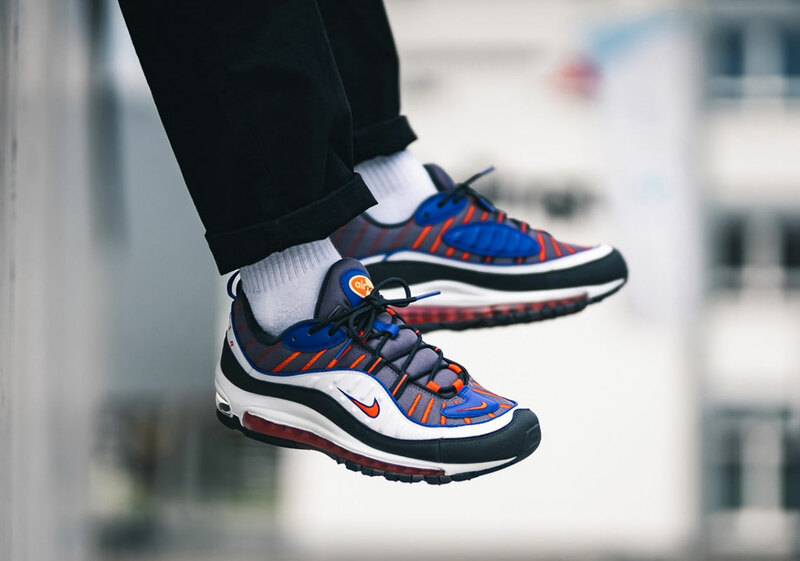 With it's chunky upper and Air Max unit that is visible throughout the majority of the midsole, the Air Max 98 is easily one of the best Air Max models you can find. While its previous iteration, the Air Max 97, seems to be getting more love these days, the AM98 still manages to get some love from time to time. This was particularly evident with the recent Nike "On Air" pack. 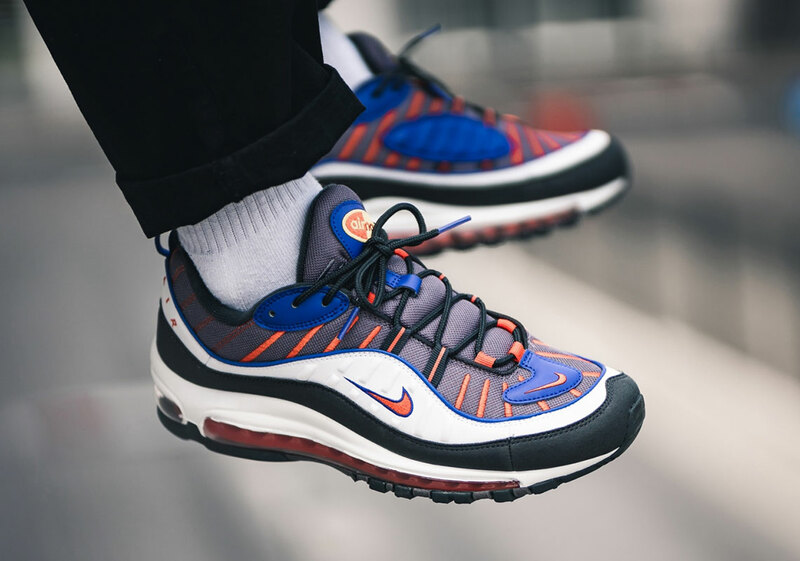 Now, Nike has shown off a brand new colorway of the Nike Air Max 98 which should have Phoenix Suns fans foaming at the mouth. While the shoe isn't officially modeled after the Suns, the colorway is being dubbed "Phoenix" and resembles their color scheme. The upper is a mix of white, blue, and orange and when displayed on foot, it looks incredibly clean. With the dad shoe trend in full effect, these will certainly be a great cop for the Spring. If you're looking to cop these, they'll be released on Thursday, April 18th for $180 USD.